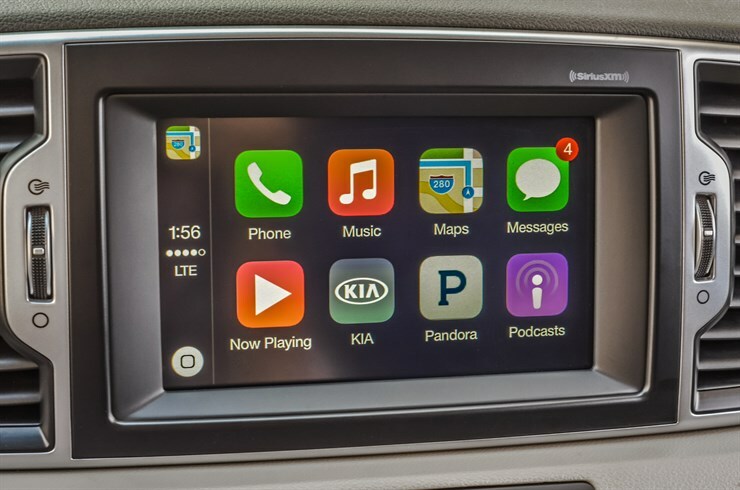 The Kia lineup now includes Apple CarPlay and Android Auto on specific models. We love these popular connectivity systems for their high-tech features, which provide safe phone access while driving. Want to know more about these features? Come to Jeffrey Kia today to have an expert walk you through the system you love. In fact, models with navigation that can pair to either these systems or UVO3 can receive a free update to the hands-free car features! Android Auto is the system that compatible Android phone users can enjoy in their Kia. This hands-free phone system is based off of Google’s many features. It allows the driver to use apps on their phone, hands-free. For instance, it has voice recognition to open Google Maps to find immediate directions. In addition to hands-free features, steering wheel mounted controls offer another way to navigate apps. Drivers can call contacts, play music, and use many more features all with the tap of a button on the steering wheel. Ask Google to run quick searches on the internet when you’re in the middle of a conversation and much more. An exciting and safe drive awaits with Android Auto. With Apple CarPlay, drivers can connect their compatible iPhone to the UVO system. Simply plug the phone into the USB port to access its features. Apple CarPlay transforms Siri into your personal assistant on the road. Just ask to play music, read a text, make a phone call, pull up directions, and so much more. Siri is at the ready to make your drive more convenient by running tasks at your command. Compatible models for Kia Apple CarPlay and Kia Android Auto are encouraged to update their vehicles on the compatible navigation or UVO3 systems. Visit the My UVO website today for more information to get started. Instructions and registration are available for easy downloading. Otherwise, come today to Jeffrey Kia to pick a model in our inventory with Apple CarPlay and Android Auto compatibility. Contact us online to learn more, and take a test drive!